As I’m sitting here, wishing I was back in San Diego sipping on a matcha latté, I am beyond filled with gratitude for all that I was fortunate enough to experience in that magical state. I may be back across the country, and let’s be honest, LA doesn’t have ANYTHING on NYC, but I hope to hold onto all that I learned and received out on the West Coast. As a wellness blogger, I saw many of my fellow bloggers attending the Natural Products Expo West last year. I said to myself that somehow, against all odds, I would attend in 2018. I was able to take vacation from work, as was my husband, book the flights and hotels, and even register for the Expo as “Media Support”. In some freaky, BLESSED way, all the stars aligned. The Expo, as well as my whole trip, was nothing short of amazing. 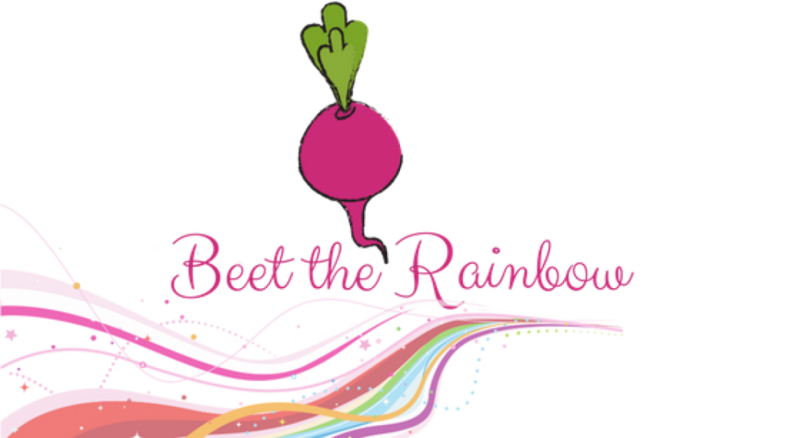 I wanted to share this with all of you, as well as my trip’s itinerary as I’ve had many requests for a Beet the Rainbow style West Coast Adventure itinerary. I know that for many, California and travel are everyday, but for me, going to California was a dream I’ve had, and I feel so happy that I got to do it. Here it goes! We took an 8:30 AM flight out of Newark. I know many wellness bloggers advocate for preparing your own food, and bringing it on the plane. However, I just don’t find this feasible. After a horrible experience ordering an in-flight burger last year on our way back from Hawaii, I make it a point to head to a store in the airport that appears as though it has some healthier options. I completely get that this is not going to be Whole Foods or even my own kitchen, but it is a little more nutrient “safe.” I opted for whole wheat turkey sandwiches (these stores also have vegan wraps), a green juice, whole grain pretzels, and antibiotic free beef jerkey. I also packed a handful of Perfect Bars and RX bars for the flight/trip. We landed around 12PM West Coast time in San Diego (we did a direct flight). Headed straight for the rental car! As much as we wanted Starbucks here is a pro tip: don’t get coffee until AFTER you get in the rental car, depending on how many bags you have! It is impossible to carry it all. (We learned this in Maui). We did an early check-in at The Catamaran Resort. Disclaimer: it was really important for me to find budget friendly hotels in both areas of interest to me (LA area and San Diego), but ON THE BEACH. As both hotels were under $200 a night (without parking), I think we were pretty successful. The Catamaran was super accomodating with the early check-in, and we got a room as soon as we arrived! Of course, I have the speediest metabolism of anyone I know, so food was the next priority after checking out the sweet SD view from our room. After our Hawaii trip, we also learned that resort meals should be a last resort. (see what I did there) The money is just not worth it. Anyway, since the hunger was real, we started walking around the Mission Bay/Pacific Beach area. It was a Sunday afternoon, and a beautiful, sunny day. There were people everywhere, and the energy was electric. It was simply put, just a really fun place to be. Something about the air said “Wow, I’m finally in California.” As much as I am incredibly into healthy/wellness eateries, we walked by a place where there were people enjoying the sun on a roof top. There was some fun, light music, with people dancing. We walked right onto the rooftop of Pacific Beach Alehouse, grabbed a cocktail. I’m not HUGE into alcohol, but something about a beach vacation mixed with a margarita is enticing to me. We enjoyed some beach eats in our attempt to dust off the jet lag. Didn’t happen, but it was delicious. I got a plate with shredded pork (fell in love with this in Hawaii), kale salad, and brown, ginger rice. Joe got an extremely perfect looking burrito. Enjoying each other, the drinks, and this food was so heartwarming. I don’t think I’ll ever forget that moment, because it felt like bliss and an opportunity to unwind. The Catamaran Resort offers a free cruise around the bay. We intended to take their first cruise at 7:15, but we fell asleep at 5:30 PM! Jet lag is so real. That didn’t stop us from getting out of bed to take the 8:45 PM sail though. I think I slept through/froze through it, but it was still a nice way to kick off the trip. We woke up way too early on Monday morning trying to convince ourselves that we are such early risers, however, it was obviously just the time change. We watched the insanely gorgeous San Diego sunrise, grabbed some coffee, and went for a long walk along the beach. We headed to Better Buzz Coffee Pacific Beach which is definitely a high vibe coffee shop that serves organic options. In our morning adventure, we stumbled upon The Truck Stop which was a really cool restaurant for brunch. We hit up the gym for an Alexia Clark leg day, and got ready to explore the day of San Diego eats! This was honestly my favorite day of the trip. The food was spectacular and exploring different parts of SD was really neat. Next up was lunchtime at the ever popular Herb & Eatery. I got this amazing baby kale salad with tons of beets, and Joe got a yummy turkey sandwich. We headed over to the San Diego Zoo, and decided not to pay the $60 entry fee, and instead headed over to the free Balboa park. Then when we needed another afternoon jolt, headed over to one of the most highly anticipated stops Holy Matcha! I got an adaptogenic iced matcha latté, and Joe got a matcha lemonade. Both were amazing, but our one regret was not getting the donuts. We were planning on getting donuts at a shop we spotted on the corner of the same block as Holy Matcha, but of course, they were closed upon our exit. After that we drove over to Coronado Island, which is a MUST SEE. This is one of the most incredible places I have ever seen, and I would have stayed there had I known how stunning it is. We just walked around the beach and got an ice cream cone from a really decadent gelato shop in The Del hotel. Call us the Beverage King and Queens, because our next stop was Little Italy to try out Ballast Point Brewery. Joe got an amazing little flight, and I got some rosé. The vibe there is SO fun. The warm air, just enjoying, the buzz, and the conversation were definitely worth the trip over there. We also got some chips and guacamole. Time for more food! Our next vacation stop is absolutely going to be New Zealand, if Queenstown Public House is any indication for what our foodie experience would be there! One of the best parts about still being on East Coast Time was actually making it to happy hours in what felt like normal time, getting the most bang for our buck. I got their Sangria Flight, served in this cute little muffin tin! The ambience was exquisite, the views of SD are just so sweet. We got the rack of lamb (vegans look away!) and it was so perfect. Our actual favorite meal of the trip (you might hear me saying that a lot, I can’t really choose a favorite). Day 2 Itinerary is not for the weak. What an exhausting, but amazing day! We woke up early again on another beautiful day. We again, went for a walk along the beach in desperate search for coffee. The San Diego area doesn’t seem to be into waking up before 7AM, which I admire, but it’s really inconvenient when you are on East Coast time and dying for your morning jolt. We headed to Swell Coffee Co . Another great coffee shop, get the cold brew with coconut milk and unsweetened vanilla. I’m all over that. I can’t say how lovely it was to just walk with my husband with my favorite drink, ocean views, and sounds. We headed to The Mission and got ourselves some eggs, pancakes, and sourdough toast of course for TOAST TUESDAY. Back to the hotel gym again for some sweet ocean views, and a good sweat sesh. After the gym, we tried an Acaí bowl shop that is right next to the resort. High protein and good nutrients, we felt nice and refreshed. Since this was going to be the only warmer day of our trip, we laid poolside until we were ravenous enough to get cleaned up to head out to La Jolla. La Jolla “jewel” in English, is exactly that. We went to The Taco Stand which is not exactly “high vibe,” but it sure is incredible. I read many reviews of SD that said it was a do not miss place. They have vegan options as well. After that, we walked around and explored. La Jolla is truly beautiful, and I would recommend spending more time here if possible. I really loved The Catamaran and would highly recommend it as it met our needs, but it was time to depart! We, again, went for a morning walk along the beach with our coffee. For breakfast, we hit up The Olive Cafe which was the cutest little spot! They have a bakery up the street that has coffee and all the treats. We settled for some avocado toast on sourdough and eggs of course. One last oceanside workout, and away we were! We headed over to Encinitas which has an incredible reputation, and it was just as beautiful as I heard. My #1 must see restaurant before going to SD was Good on Ya! and it was absolutely incredible. The menu is super well known, because there are not many restaurants that offer organic options in this way. They have delicious kombucha on tap, have an awesome cocktail menu, and the coffee bar menu is out of this world. They even have Sieté tortillas as an option for their tacos! Dream restaurant. I opted for a gut friendly sandwich with kraut, grilled cheeses, and turkey. Joe got a burrito! We both got the kombucha which was really refreshing and tasty. Of course, I wasn’t leaving for a 2+ hour road trip up to LA without THE GOODS, so the awesome waiter helped me out by picking out some desserts for the ride. I have been dying to try Meet the Source Bliss Balls and they did not disappoint. I got the Cookie Dough flavor, and they were one of my favorite treats of the entire trip. We also got a heavenly vegan zucchini brownie. TAKE ME BACK. Time to drive up to Manhattan beach, and we took the “scenic” route that definitely had some Hawaii-esque views up the Pacific Coast Highway. I mean my 15 year old self was beaming with excitement seeing Laguna Beach and Huntington Beach. We finally got to the magical Manhattan Beach 1000 years later. LA traffic is not exaggerated-it is awful. However, if you are used to NYC traffic, you are capable of handling LA, it’s just irritating. That didn’t stop us from quickly checking into the Sea View Inn, and sprinting over to El Segundo for dinner at True Food Kitchen. I think this was my favorite meal of the entire trip. All my favorite foods in one bowl, and a glass of vino did not hurt either. We also got hummus as a starter. Did I mention all my faves?! The vibe in there is just so lovely and soothing. And because El Segundo is perfect, there is an Athleta and Pressed Juicery Freeze (my favorite dessert of all time) right in the same shopping mall. So we worked up an appetite shopping, and got some of the best Freeze ever. We woke up to a nice, sunny day in Manhattan Beach, went for another long walk in search of coffee, and went to a place called Uncle Bill’s Pancake House which was hilarious, as this is one of my favorite go to spots in Ocean City, New Jersey when we vacation there over the summer (but this is not the same thing). We ran to the hotel, and got ready for a day of touristy adventures. The first stop was Alfred Coffee on the real Melrose Place, which had a very SoHo, underground vibe, but I loved it. I loved all the coffee and matcha options, but usually if it’s before 2, I go for more coffee. Then we headed over to see where they shot the exterior of Melrose Place, which was a huge disappointment, but still cool. We saw the Hollywood sign! Then, off to the most magical part of the trip, the WB Studio Tour. This has been on my bucket list since I was a little girl, coming home from school and watching Gilmore Girls and cooking dinner with my mom until it was time to sleep. I have always wanted to see the GG set, and I was determined to do it. I was also a humongous fan (I’m talking chatroom through the wee hours of the night type fan) of Pretty Little Liars, and the shows were filmed on the same set. I also got to see the original Friends set! Bless the heart of my husband, as this was truly a Michelle’s Magical Vacation. I’m a TV fanatic, so this was truly a dream tour to do. If you have specific questions about the tour, leave a comment. Another bucket list item was to see the Santa Monica Pier, which was fun, but SO crazy. The traffic was nuts yet again, and we were starving. We hit up the cutest little corner stop in downtown SM, I went for a margarita and alllll the tacos. We woke up early to head over to Anaheim for the Natural Products Expo West, which was the main reason for our visit to California! I will be posting about Expo West and what my favorite products were in a separate post, so look for that soon. Let’s just say, it was one of the most amazing days ever. Unfortunately, we did not make it over to Disney Land. Next year! We closed out the night with some fresh and tasty sushi (those micro greens!). Upon walking home, and realizing we were still hungry, we got a pizza to share poolside. All that sampling of food made us ravenous I guess! I did not want to wake up for the inevitable last day, but it was super soothing and fun. It was rainy, and there’s not much to do in the rain in Manhattan Beach, but we went for a long walk to the Coffee Bean and Tea Leaf, and then went for long walk by the beach. We watched a volleyball tournament for a while while enjoying our coffee. We also passed a Lorna Jane shop on the way! Why don’t we have Lorna Jane in New York, again?! We went over to Venice Beach for some vegan treats a lá Café Gratitude. We got some mint tea and matcha to start off. Joe order an Acaí Bowl with on point toppings, I got the “Whole” bowl ( I could’ve done without the kimchi), but it was reallllly warming on my gut. Especially on a chilly, rainy day. We went driving around Venice, hung out for a bit. Then we went to the most beautiful church and mass I think I have ever been to, besides my own wedding. Then, we ran out for some IN N OUT BURGER! It was so delicious, and the best way to close out the trip. A ride over to the Coffee Bean for some oatmeal and steamed coconut milk coffee paired with some tears that it was time to go back home. California was certainly a dream vacation, and I can’t wait to return!! Let me know what your thoughts are about my trip, what you’ve seen, what you’re interested in! I would LOVE to hear.